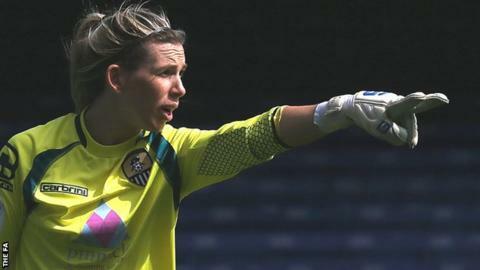 England women's goalkeeper Carly Telford has signed a new two-year contract with Notts County Ladies. Telford, who was part of England's bronze medal-winning World Cup squad, helped Women's Super League side Notts reach two cup finals last season. "We're two years old as a club and have achieved that," the 28-year-old said. "That's huge applause to the staff and the ambition of the chairman. "But no-one wants to be a loser so it is about taking it to the next level."